Planning for retirement is perhaps one of the biggest financial endeavors you will undertake. You will have to set-up a plan that secures your financial future without an employer’s income source. To some degree, working legitimately will have you contributing to a form of retirement: Social Security and Medicare are mandatory taxes that are paid by all individuals who earn an income. These taxes are for your retirement. Knowing how to invest this source of income is the first step in a stable retirement plan. An Individual Retirement Arrangement, or Individual Retirement Account (an IRA), is an account that is set up by the IRS that provides tax advantages for retired individuals. IRAs are built solely from cash deposits. There are no other types of assets that are allowed to be put into an IRA. IRA conversions and rollovers allow the account hold to transfer full funds from one account to the other. The current limit of IRA contributions is $5,000 for those under 50, and $6,000 for those over 50. Upon opening your IRA, it will be assigned to a custodian. The holder of the IRA can direct the custodian to purchase financial securities, such as bonds or stocks. A Roth IRA is made with after-tax assets. A large portion of your savings from this plan will come from saving on transactions with the IRS. This means that the IRS will not tax you for transactions with them, nor will they tax withdrawals. A Traditional IRA can sometimes be referred to as a deductible IRA or a non-deductible IRA. If income is taxed by the IRS, then the IRA is referred to as a non-deductible IRA. A deductible IRA is free from IRS income tax when withdrawing the IRA. A SEP IRA is a personal IRA account that is entitled to the individual, not the company. The self-employed or small business employees often pursue this IRA and make contributions towards it with their own money. A SIMPLE IRA is an employee IRA that resembles a 401k, but has lower restrictions, and lower maintenance fees. This type of IRA allows for both employee and employer contributions. A Self-Directed IRA solely relies on the account holder to make contributions. A Coverdell Education Savings account can also be opened, which allows savings for educational expenses. This type of savings plan allows contributions to be made in a wide variety, such as bonds and stocks. The most common savings method for a retirement plan in the United States is the 401k plan. 401k plans are almost exclusively offered by employers. Employees choose how much they want to contribute to the 401k account per payment period. This account is controlled by the employer. Employers can also match the amount deposited by the employee, or for profit sharing companies they can deposit a portion of that as well. Some 401k holders can also open a Roth 401k. The Roth 401k allows the participant to contribute a portion of their earning, and then withdrawal it at a later date, tax free. The participant-directed 401k allows the holder to use stocks, bonds, and mutual funds as contributions. Typically, employers also offer their own stock with the plan. Employers are given access to these accounts and can allocate their money amongst their investments as they see fit. When holding a 401k account, the money that is contributed has a delayed taxation period. Over a long period of time, the savings made on delayed taxation can add up to a large sum of money. A 401k can only be withdrawn if the employee resigns or if they reach 59 and a half years of age. In cases of hardship, the employers still has the last say in whether or not the money can be withdrawn. Money that is withdrawn before the age of 59 and a half is subject to a 10% penalty, which is paid to the IRS. In most cases, employers will offer their employees a loan if they need the money before retirement. The loans are then paid after taxes, with an interest rate determined by the company. If the loan is paid back with interest, then that sum of money is then redistributed to the 401k. This money is non-taxable. At the age of 70 and one-half, the account holder must make distributions from the account. These distributions must occur before April 1st of the calendar year. The amount that the holder is allowed to withdrawal depends on his or her life expectancy. Employees who are terminated have the option to “force out” if the balance of their 401k is under $1,000. If the balance is over $1,000, then they must rollover their former 401k into an IRA or a new 401k plan. Forced out participants can choose to have their funds paid to them in cash. After deciding which of the above best suits your investment needs, the next step in the retirement planning process is to think about beneficiary designations. Although hard to think about, it is a necessary step in an inevitable process. While your first thought may be to write a will, it isn’t uncommon for a will to have little to no effect on who receives your assets. The biggest player in distributing your assets will be your custodian. The custodian is the overseer of your retirement plan, and will create records that depict who you designated to receive what. It is with these records that your assets will be distributed. Save as much money as you can during your working years. It is never too early to save for retirement. Common knowledge in the financial world suggests that stocks will yield the highest long term growth. This means that investing in stocks at an early age might also benefit your chance at an early retirement. There are many other savings vehicles worth considering. A younger person is well-served by discussing retirement options early in a career path. Never underestimate the potential tax advantages (or hurdles) suggested by a particular decision. 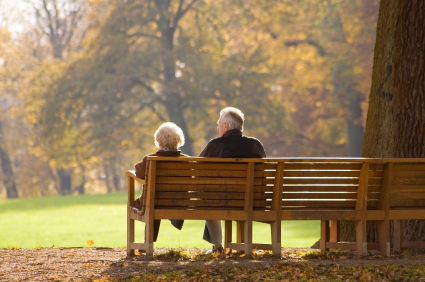 There are several things to consider when retiring. Too often, retirees find themselves in financial hardship due to the fact that they have no investments. Invest early, perform diligent research, and seek advice from financial experts. It is often the best you can do to prepare for an uncertain future.